Bait Hives are enticing things. 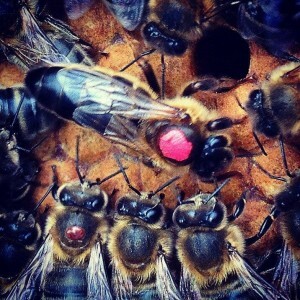 Every summer, as bee hives reach capacity, new swarms have to break away and found new colonies. For beekeepers this is an opportunity. Bait Hives are man-made devices: constructed hives designed to attract new swarms in search of a home. These seven students came from Romania, Germany, Belgium, Czech Republic, and Canada. 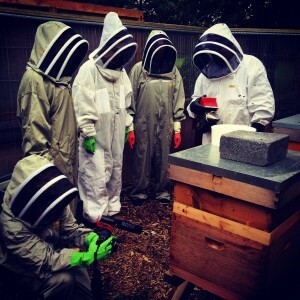 They were given the lowdown on the Lifeline and our forthcoming Bee Life project. We talked about the democratic nature of bees, their importance to our ecosystems, and the benefits they provide for our health. Together we also visited Kilbarrack Fire Station, where an enterprising group of fire-fighters has created a surprising suburban centre for biodiversity, including a cluster of bee hives retrofitted into the station grounds. After a creative, dynamic fortnight, the students created elegant, simple Bait Hives, flat pack designs laser cut from light plywood, which were part of a one-day design exhibition at Hendrons Collider in Broadstone on 23 August 2014. 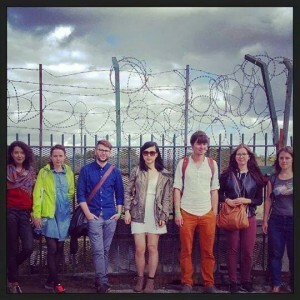 The students trialled their protptypes in Dublin to obtain feedback from the public and have taken them home to canvas responses in other countries. These Bait Hives are now being seen in Romania, Germany, Belgium, Czech Republic, Spain, and Canada. And we have managed to reach a network of bee enthusiasts across Dublin too: hobbyists, firemen and designers as well as the members of the Federation of Irish Beekeepers’ Associations. 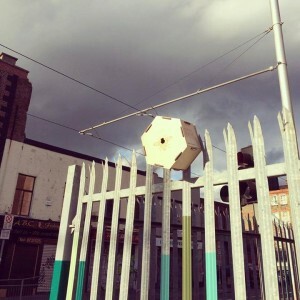 All are agreed that now is the time for an urban beekeeping centre in Dublin. Bí will see this happen in the northwest inner city in 2015. 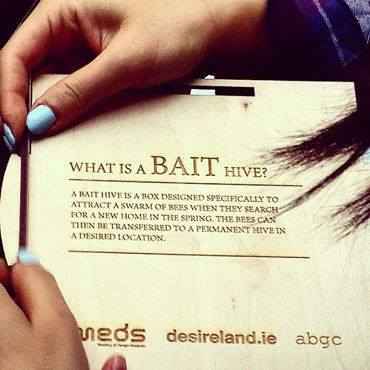 Follow this link to view our Facebook Album of this summer’s Bait Hive Initiative. 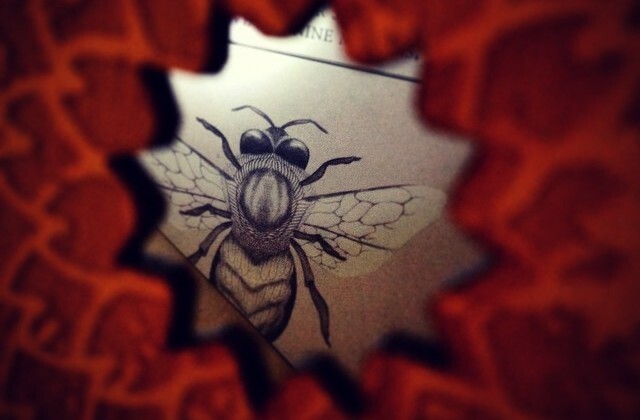 The Year of the Bee is coming. 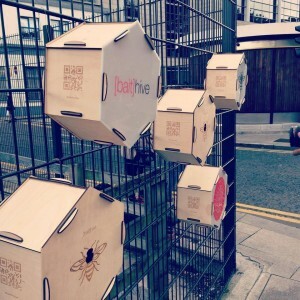 Bí will use currently deserted brownfield sites to provide accessible beekeeper training for local residents; create a classroom and ‘Science Shop’ for the Dublin Institute of Technology and local schools; commission research to address the flagging bee population; and develop products that promote the health benefits provided by bees as fellow residents in the urban environment. Bí is the first project of the Lifeline, a large-scale project-based initiative which proposes the sensitive bio-remediation of the Northwest Inner City of Dublin over the next ten years, providing new educational, healthcare, training and employment opportunities for residents and reinvigorating the profile of the area through a series of innovative projects which will make imaginative use of currently wasted resources. Keep an eye out for Lifeline Urban Bí Soap this Christmas. This luxurious artisan soap made in Stoneybatter Dublin 7 from locally foraged ingredients will be packed full of bee pollen, propolis. 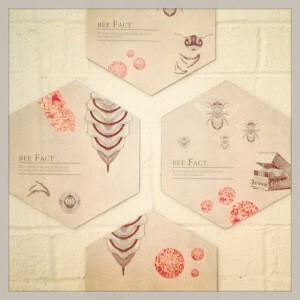 honey and essential oils to emulate the scent of the Queen Bee and sooth even the most sensitive skin. 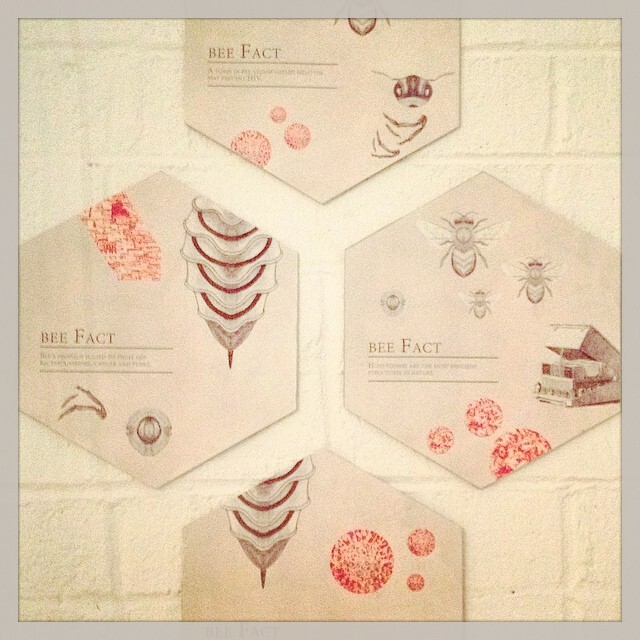 All proceeds will go toward funding our 2015 programme of bee themed public workshops, exhibitions and events. Great initiative! Well done and please keep me posted! Great project. The reference you cite from Tom Seeley at Cornell on bait hives was determined in a forested or rural environment. 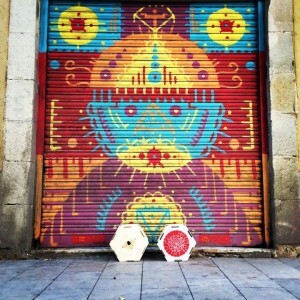 It would be good to see which of your bait hives are occupied and to record the height from the ground and direction the entrance is facing … cities offer different opportunities for swarms, with many more man-made entrances and cavities to occupy. With my own bait hives (http://theapiarist.org/bait-hives/) – mostly in farmland – I’ve seen no difference in success rates between hives located at knee level and those placed above head height. Delighted to receive your comments on our aims with Lifeline Project Bí and our Bait Hive Initiative. Yes, I met Thomas Seeley here in Ireland last summer at the Federation of Irish Beekeeping Associations summer school at Gormanston. His lectures were fascinating, but, as you say, most of his research was in forested or barren island environments. 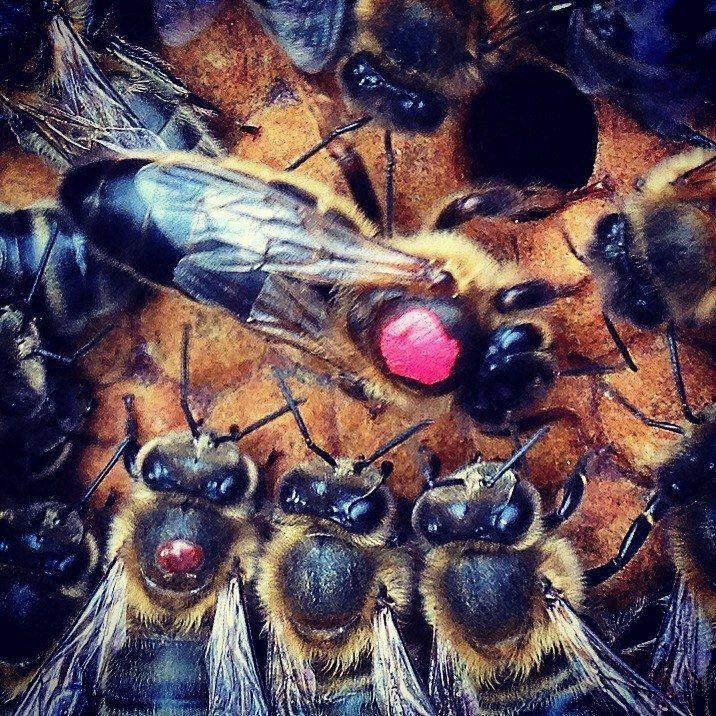 This was intentional, because he was studying bee communication and decision making. The forest offers little foraging so it was easier to lure them with artificial food and see how the scouts communicated the location to the hive. Barren islands offer little other opportunities for nesting which made them idea for examining the bee’s criteria for choosing a new home with different types of bait hives. Your experience on the farm is very interesting and will make a useful comparison when we are looking at bee’s preferences in the city. In the American forest bears are still a threat, but on UK farmland perhaps not! I do know that bees thrive up to 20 stories high in the urban environment. It will be fascinating to examine preferences with the height options that Dublin 7 can provide! I love it. Is it wood or cardboard? Keen to see how the Bait Hive behaves in the urban environment. Keep me posted. This one is just a prototype we had lazer cut in a very think ply which would not be appropriate for outdoor use. It also would be difficult to remove bees from if they decided to take up residence! For this reason we have had DIT Engineering students updating the design to make it more practical. A new version should be ready to install around Dublin 7 in June. We will keep you informed of our progress! Hi. Is this project still active?